The latest title in our ongoing proofreading project has gone online: Witty Pieces by Witty People. 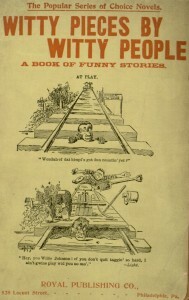 This collection of jokes, anecdotes and cartoons was gathered from national newspapers (among other sources) and published in Philadelphia in 1894. As with our earlier humor offering, Atchoo!, much of this may not seem very funny to the modern reader, and some of it is likely to offend. 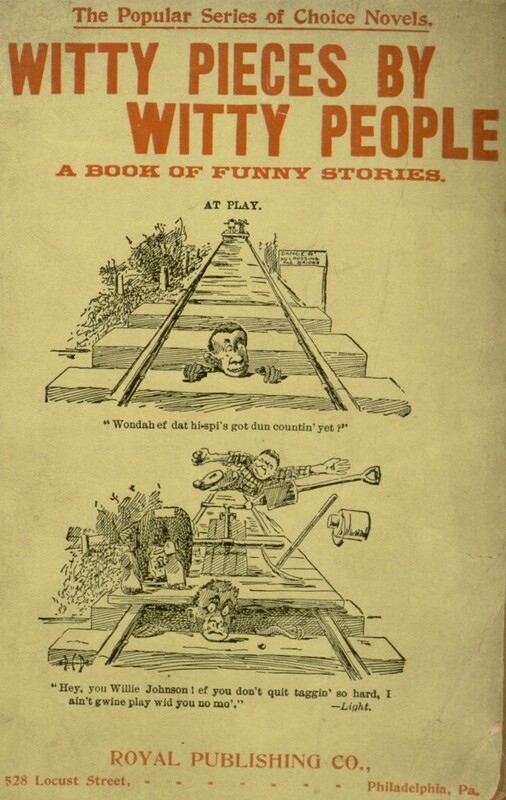 In spite of that, it remains an interesting piece of history, showing the type of humor that could be found in mainstream American publications in the late 19th century. If you are interested in helping our efforts to adapt this vintage title to modern electronic formats, you can learn more about the Distributed Proofreaders Project here, and you can visit the project page here.